VCI Embossed film is especially designed for the bearing industry in automatic packaging of large bearings. Our unique film is made with the latest polymer technology. The 3 layer 11.8 mil 3” film will provide maximum strength, and flexibility needed in automatic packaging application Our films are Impregnated in low temperature with vapor corrosion inhibitors (VCI’s) to protect ferrous and most non-ferrous metals from corrosion. 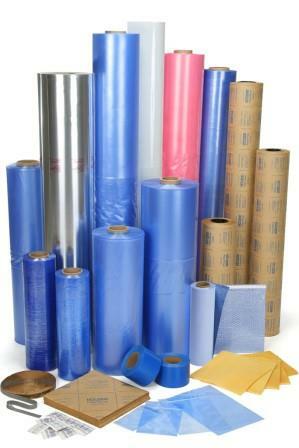 VCI Embossed Film products can be manufactured with materials such as polyethylene, polypropylene and their co-polymers, materials can include fillers, additives, and release agents, and various laminates. 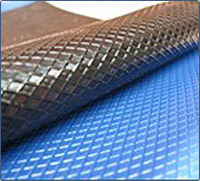 Our products can be manufactured in many widths and thicknesses depending on materials. The slow release vapor action protects the exterior as well as hard-to-reach interior surfaces. It is self-healing and will provide 24 months of long-term protection for storage and overseas shipments. Shrink the metal object with a VCI-2000 film or bags, The VCI on the film volatilizes and migrates with air then condenses on all metal surfaces, reaching all exposed and recessed areas.